Editor’s note: Have you seen the new Dogster print magazine in stores? Or in the waiting room of your vet’s office? This article appeared in our August-September issue. Subscribe to Dogster and get the bimonthly magazine delivered to your home. Thanks to Dogs for the Deaf, a 501©(3) nonprofit organization located in Central Point, Oregon, hundreds of people with hearing impairments have been given a life-changing hearing-assistance dog. Since 1977, Dogs for the Deaf has been committed to training hearing-assistance animals and making lifelong matches between the dogs and their hearing-impaired partners. What makes Dogs for the Deaf’s mission special is that nearly all the dogs brought into the program are rescued from high-kill shelters throughout the Western and Mid-Western United States. The future hearing-assistance dogs, mostly mixed breeds, are usually under 2 years of age and are selected if they seem to be active, confident, and friendly — essential qualities of a successful assistance dog. Training the dogs to become certified hearing-assistance animals takes four to six months. 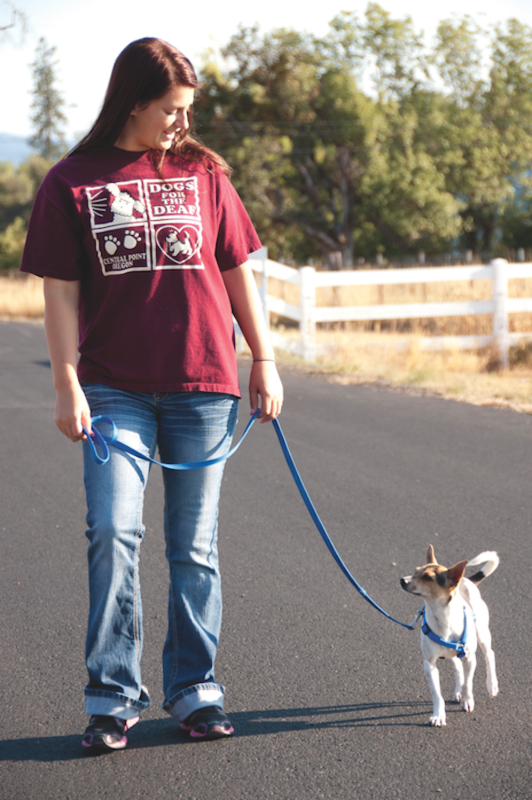 Trainers use positive reinforcement, and the dogs learn to work for toys and affection. Because only one in four dogs will pass the certification and qualification tests necessary to become an assistance dog, Dogs for the Deaf makes sure those who do not pass are adopted out within a three-hour radius as Career Change Dogs. These healthy, happy, and obedience-trained dogs live out their lives as loving pets in forever homes. No dog is returned to a shelter. Ann, who first started as a volunteer with Dogs for the Deaf, knows how life-changing a hearing assistance dog can be. Her husband was raised by deaf parents who happened to have a dog who would help with sounds long before any official hearing dog programs existed. As a baby, when her husband cried, the dog would wake up his mother. In public, a hearing dog’s role is to help his person be more aware of their environment. 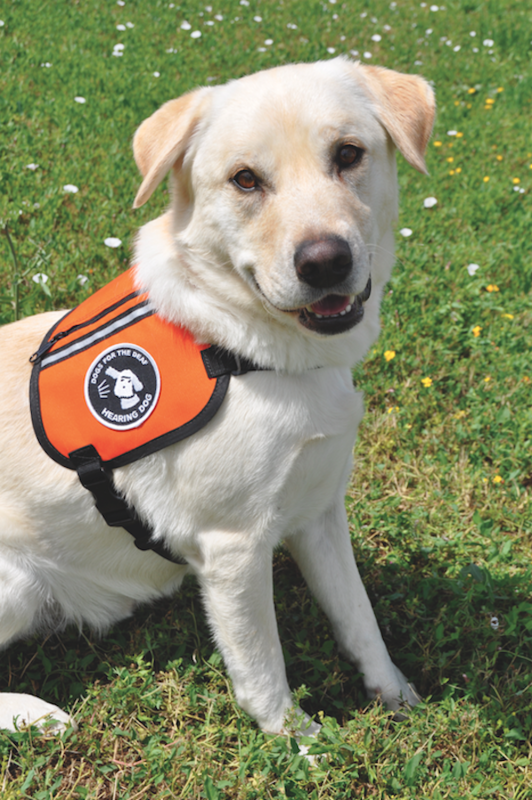 Dogs for the Deaf does not specifically train its dogs to alert to a siren or a car horn, but a deaf person can gain more awareness by paying attention to whatever the dog is reacting to. By taking notice of where the dog looks, the person can turn and see what’s happening. 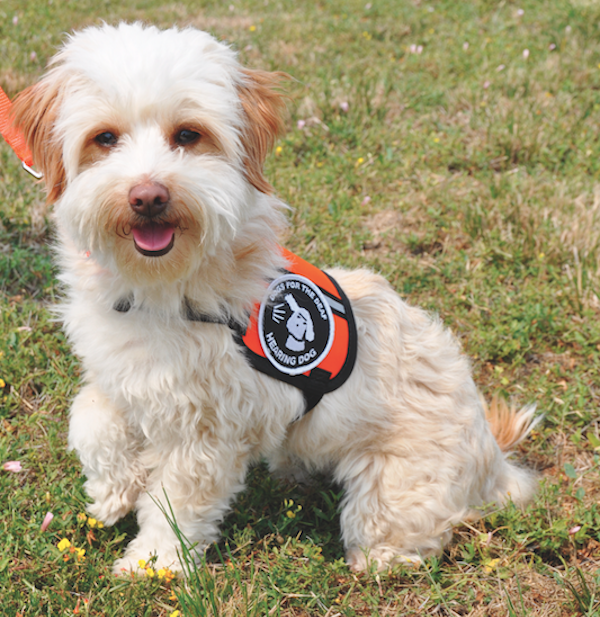 Dogs for the Deaf hopes to expand and build another training facility on its campus to increase services and save more shelter dogs. It has also revitalized its Autism Assistance Dog program and looks forward to placing the first dogs. To learn more about Dogs for the Deaf, visit dogsforthedeaf.org or on its Facebook page. What can a hearing-assistance dog do to help a deaf person? Dogs for the Deaf does not receive any federal funding and depends on donations to continue its life-changing work. Top photo: Client Danielle with her hearing dog, Ginger. The post Amazing Hearing Assistance Dogs Make Life Easier for Their Humans appeared first on Dogster.